A terrific book about mediation and negotiation that is aimed at the general public is Bargaining with the Devil: When to Negotiate, When to Fight, by Robert Mnooken, Chair of Harvard Law School’s Program on Negotiation. The book explores disputes in a variety of contexts where the relationship between the parties in conflict has grown so hostile that at least one side views the other as immoral, even evil. Thus, the title, Bargaining with the Devil. I will say a word about Mnooken's advice in such situations at the end of this post, but my real interest in mentioning Bargaining with the Devil is that, at the end of this book's last case study, Mnooken offers an important gem of advice relative to proactive, preventative communication in the estate planning context. The case at hand involved three siblings’ inheritance of a large and valuable vacation property. The conflict had escalated to the point that two of the siblings were no longer talking to each other. If nothing was done to change the situation, the parents' gift to them threatened to permanently injure all the siblings’ relationships with each other, which certainly was not their parents' intention in making the gift. Fortunately, the family was aided by Mnooken’s skillful mediation and the willingness of all three siblings to sit with the discomfort of their conflict long enough to really hear each other. 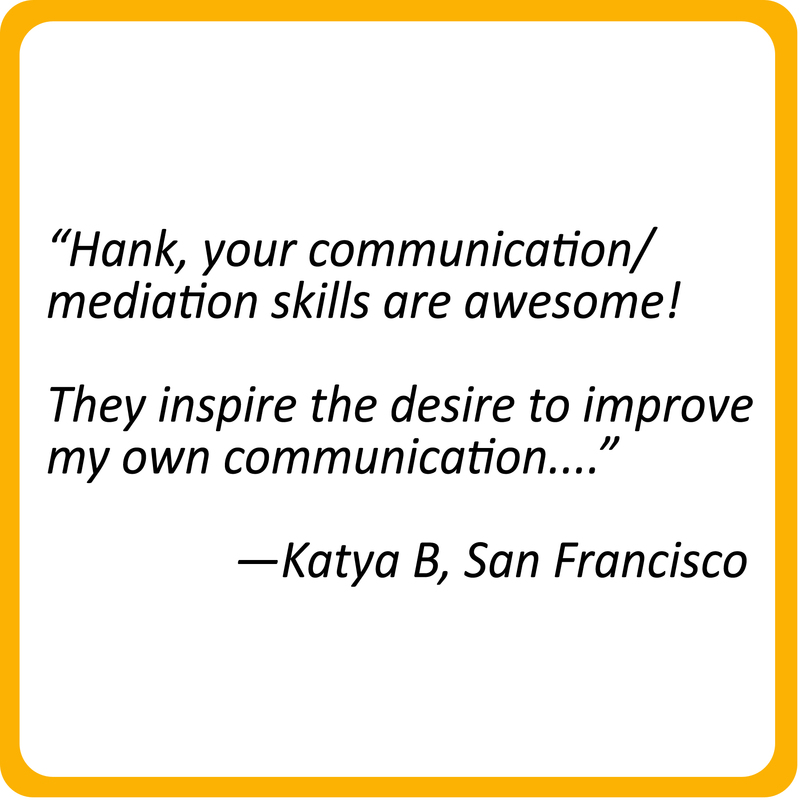 Because they were wiling to sit in the discomfort involved with hearing each other's point of view, the siblings were able to identify and admit to their own contributions to the conflict. Together, increased mutual understanding and ownership of each party's contribution to the conflict went far to heal the many wounds caused by the conflict. Then, in place of hurt emotion, a creative space emerged in which the three were able to reach a settlement that met everyone’s needs. 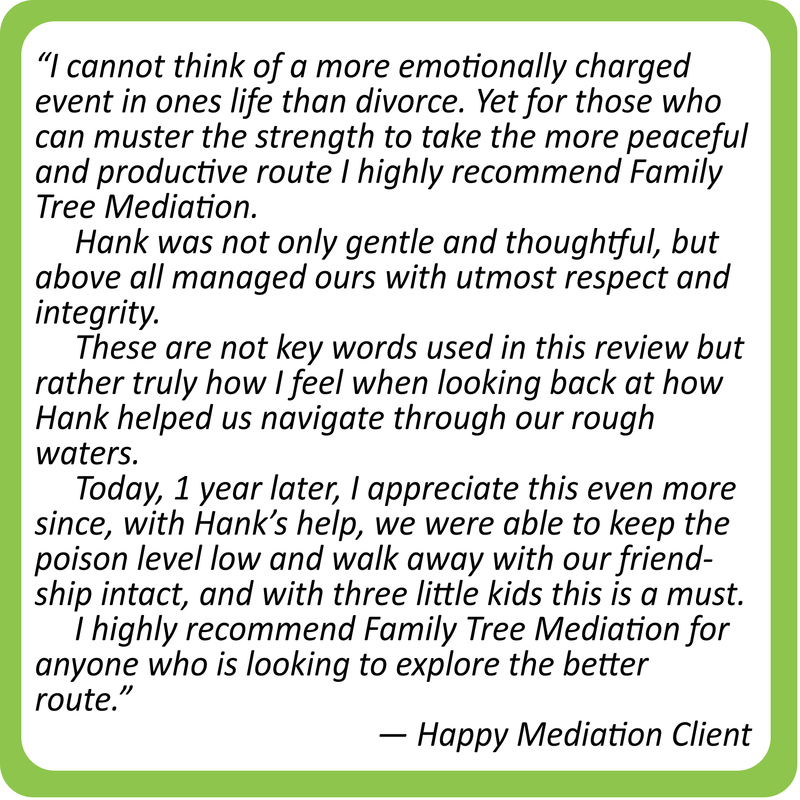 They were also able to repair their relationships and to move ahead into a future in which each played a valued part in the others’ lives: a good example of the success that mediation can achieve. 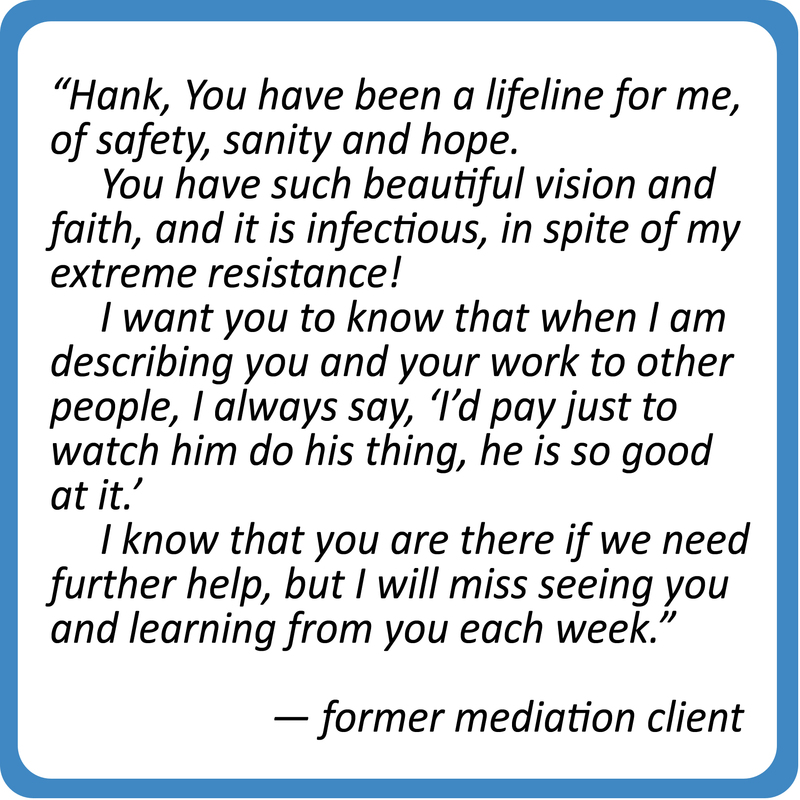 “One lesson of this case is the importance of effective estate planning. [The father] could have averted, or at least eased, the conflict of [the vacation property] if he had talked with his children about their interests before he died, thought through a variety of plans that would have served everyone better than a simple tenancy in common, and adopted one of those plans in his will. There are also ways to design a process to resolve disputes that may arise after the parent dies.” (p. 259). First, there is the value of the assets at issue to be considered and the way those assets can be placed in risk if the beneficiaries are not able or willing to manage them well. Second, there is the cost of resolving disputes that arise out of poor estate planning, whether those costs arise out of litigation, mediation, or arbitration. Third, there are the unintended emotional and relationship costs that result from conflicts caused by estate planning that is performed without inquiry into the needs and concerns of the beneficiaries. Fourth, there is the cost to one’s legacy when one’s children are unprepared to make allowance for one’s wishes about what becomes of the fruit of one’s livelihood after one’s death. 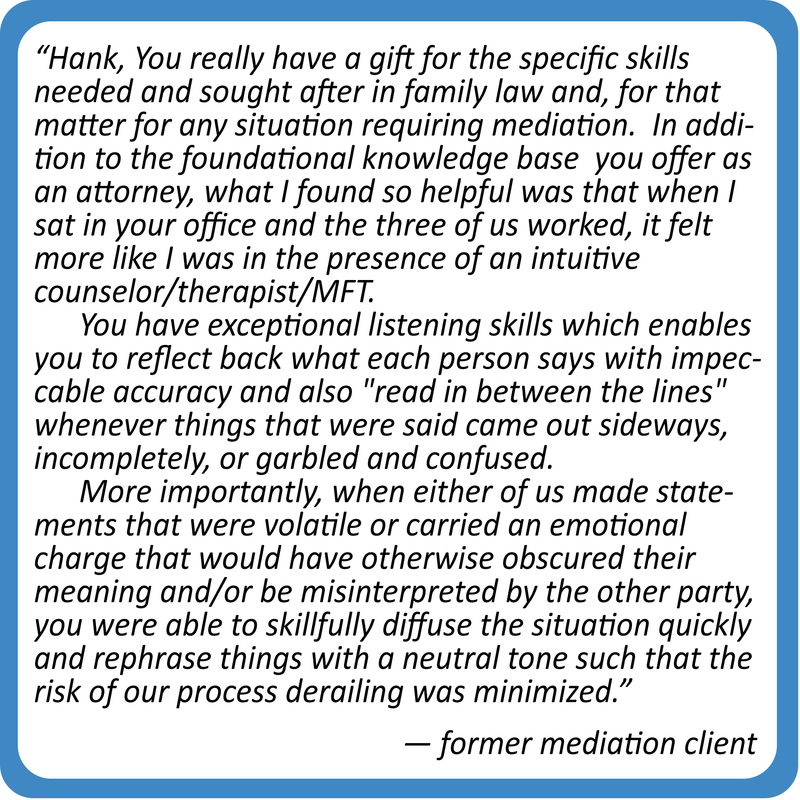 There is tremendous value in mediation - not only after a dispute arises when one of the interested parties is no longer living - but also before a dispute arises when everyone is still present to speak their truth, hear the truth of each of the others, and talk about each of their emotional needs in addition to the material assets at issue. Importantly, many such emotional needs may not be able to ever be satisfied after a parent has passed away. 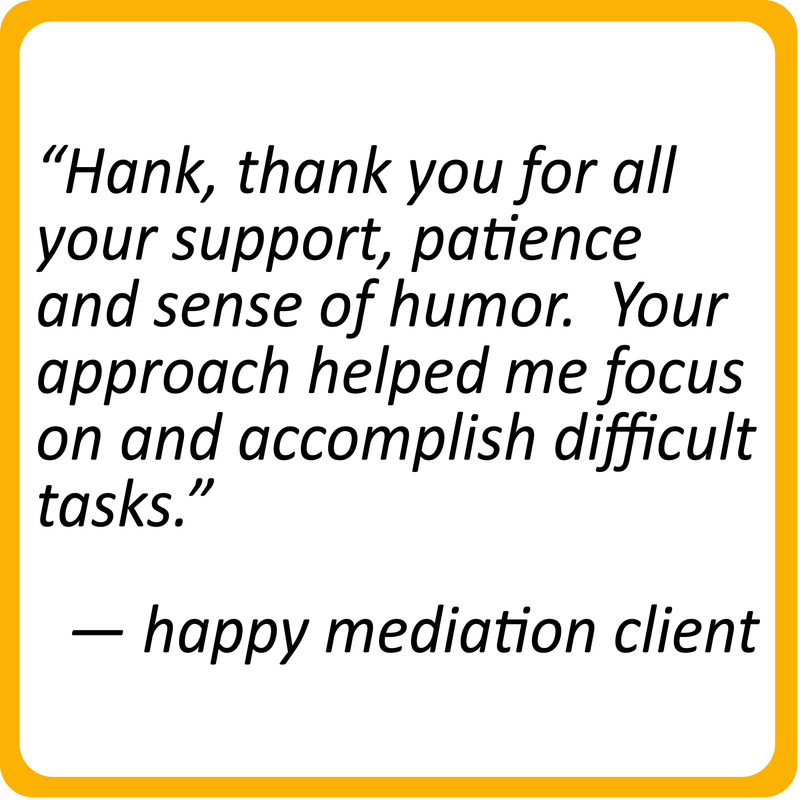 Proactive estate mediation enables parents to take really good care of their children in a way that will enable their children to shift more quickly from grief at a parent's passing to connecting with the still living resource of parental love that will continue to inspire them throughout their lives. A skilled mediater will help each member of the family to (1) be heard by the others, (2) identify his or her interests, (3) give voice to his or her sense of fairness, and (4) generate ideas for meeting everyone's needs. 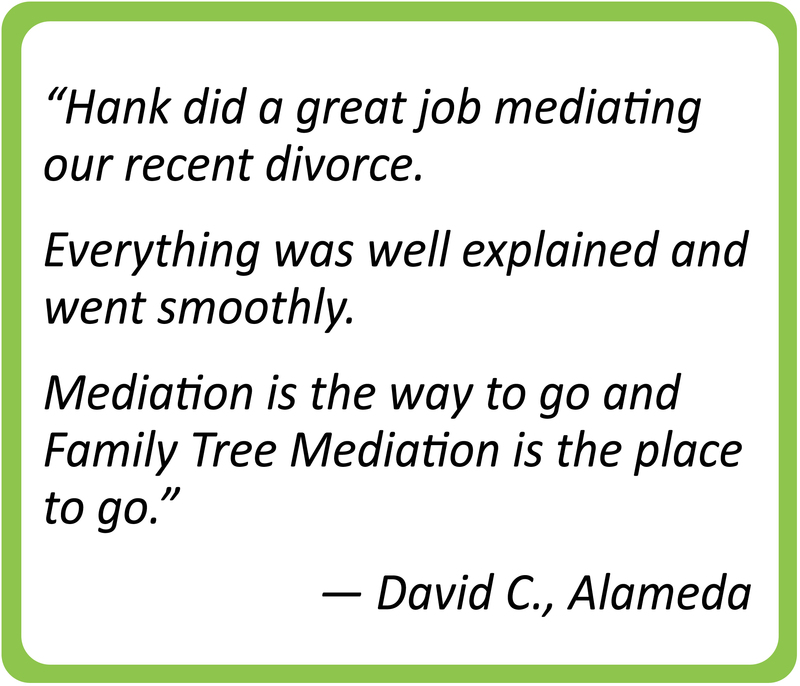 I believe in the near future that hiring such a mediator for proactive estate planning will become a common practice among families seeking to maintain the strength of their family tree through the generations. When the deciding on behalf of others, be pragmatic, not governed by moral intuitions. For the rest of us, who are not locked in conflict with the devil, but only trying to create a family culture that does not give rise to needless and painful conflicts, I recommend families consider using the opportunity the season provides to have a loving, sensitive conversation with all members present about whether proactive estate planning mediation might be a good thing to invest your time and energy pursuing.